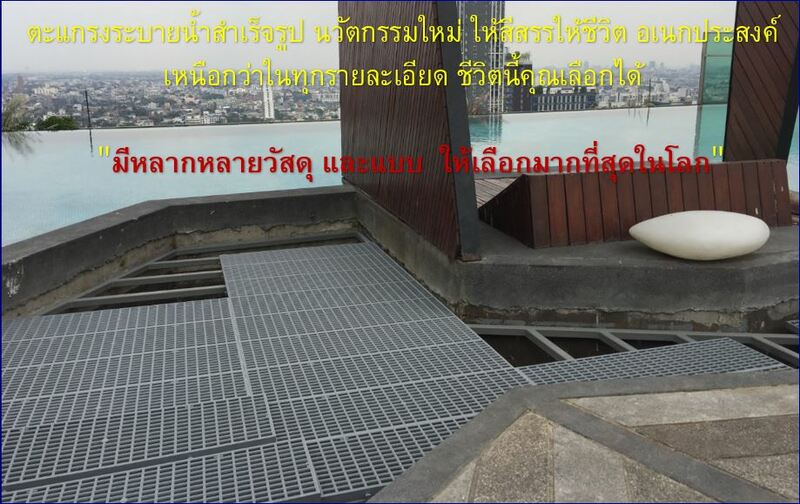 @ Oil Industry โรงกลั่นน้ำมัน ท่าเทียบเรือ::	Platform above sea. 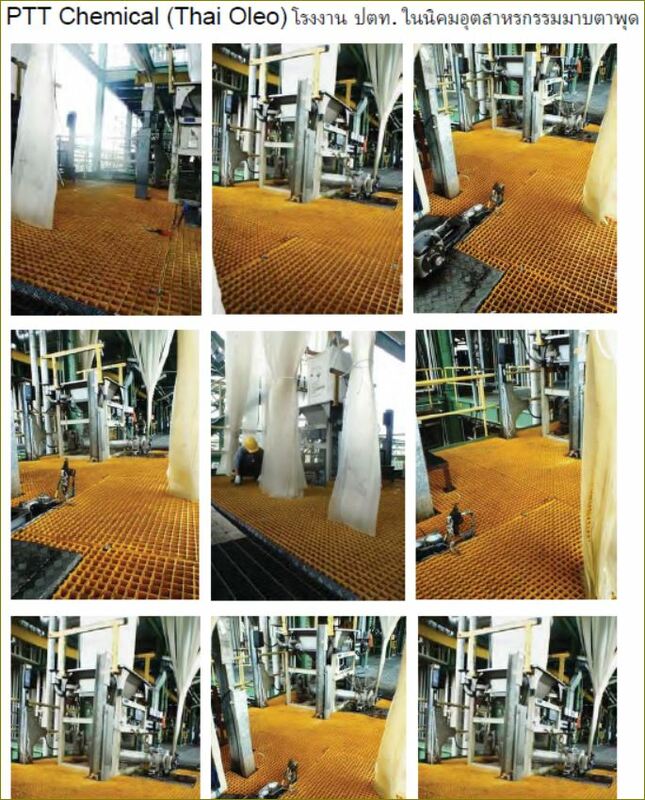 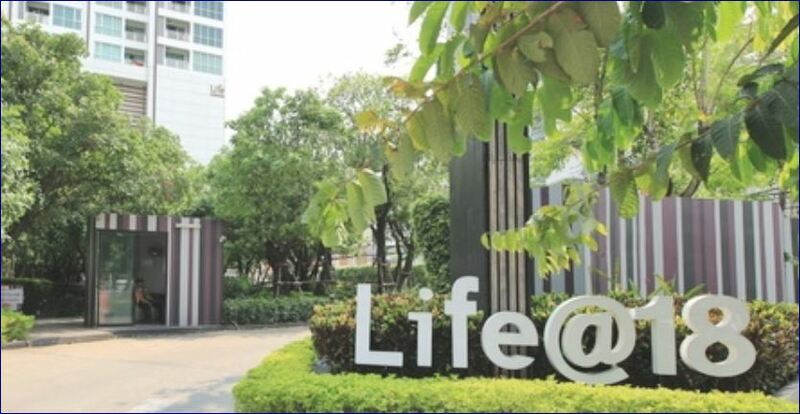 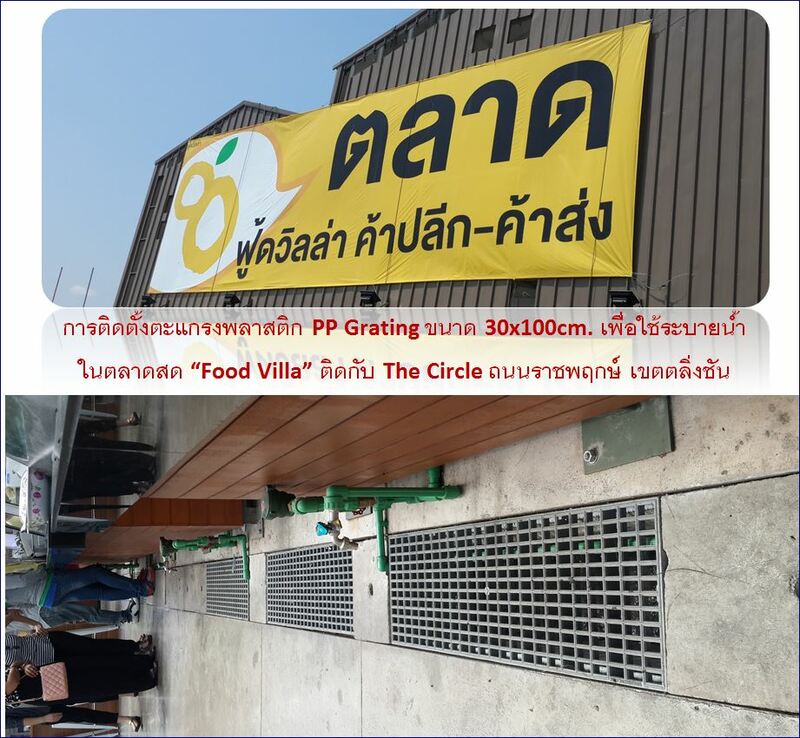 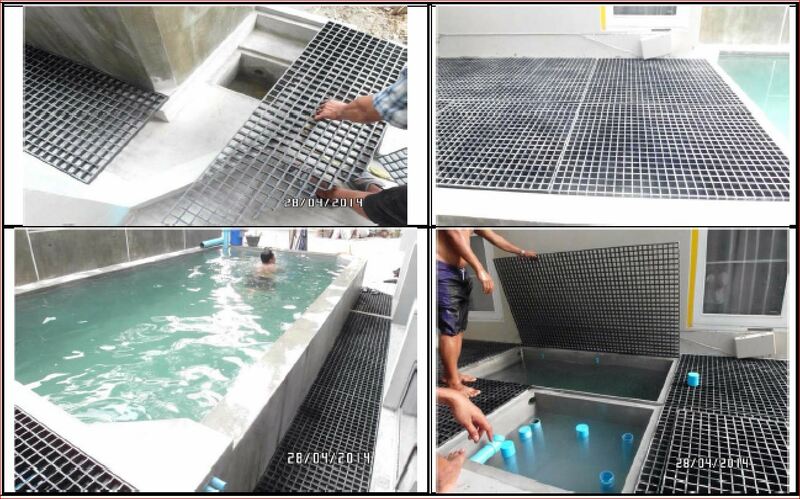 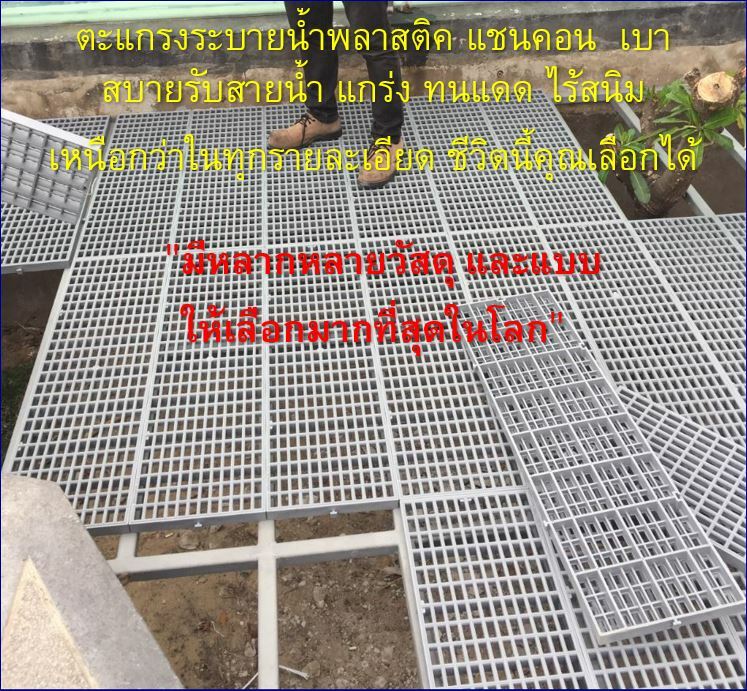 @ Textile Plant: โรงงานถักใย ย้อมผ้า :	Replacement of metal grating, Wooden platform and cover of concrete pool, Flooring around bleaching, Dying area, Floor around pump and valve area. 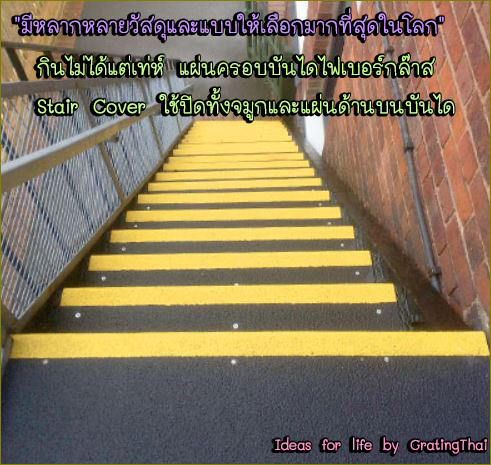 @ Power Plant โรงงานไฟฟ้า ถ่านหิน พลังแสงอาทิตย์ พลังน้ำจากเขื่อน::	Cover of concrete pool etc. 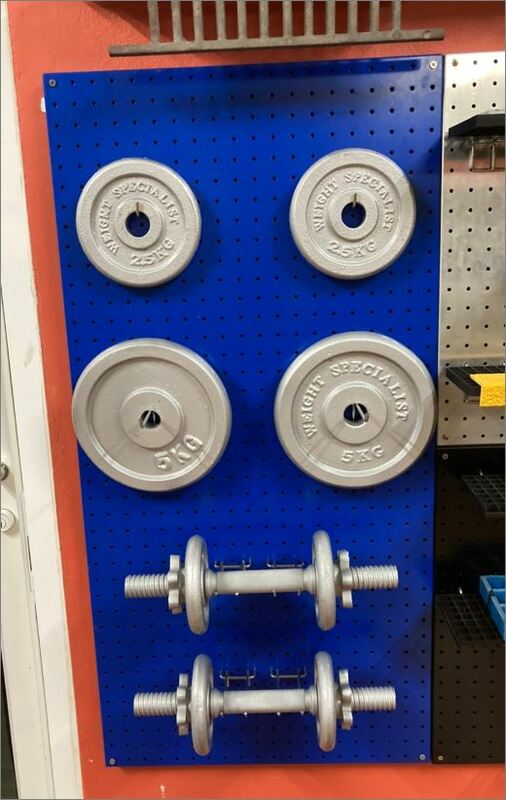 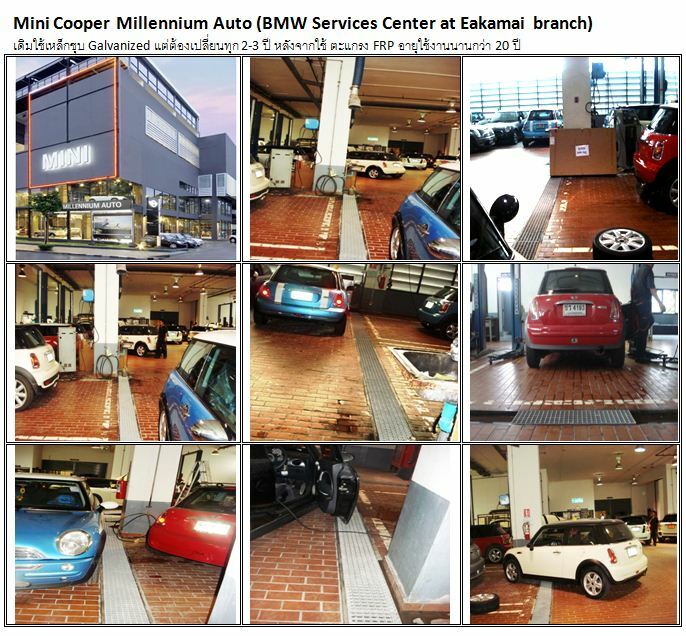 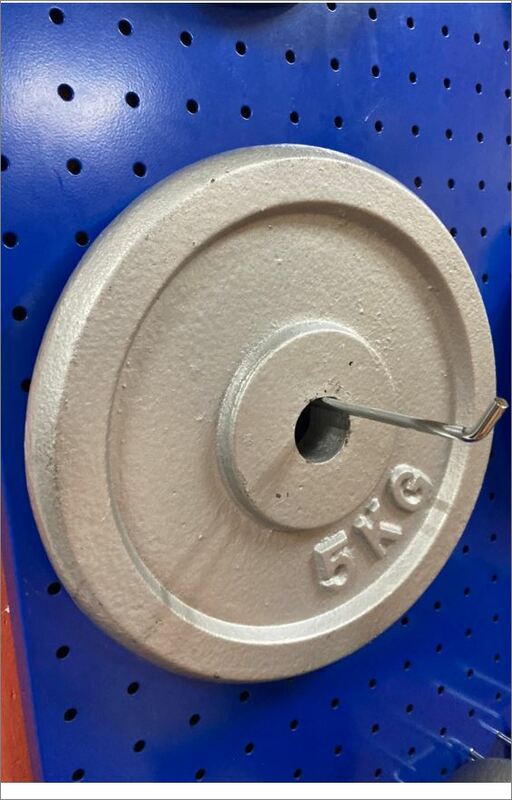 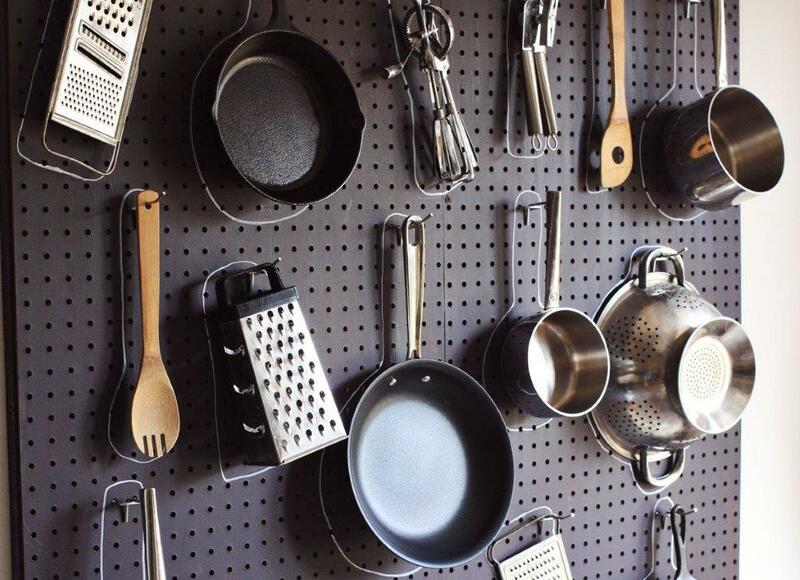 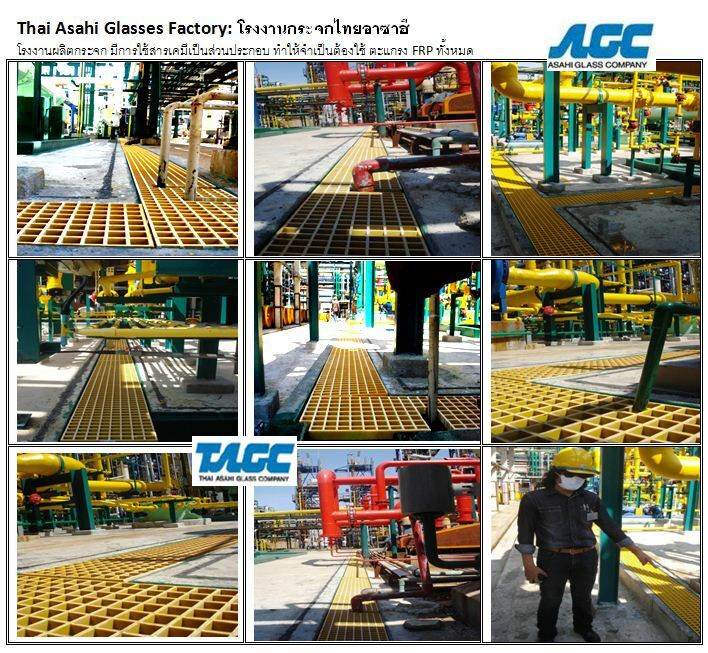 @ Metal Finishing โรงผลิตรีด ม้วน เหล็ก ปูนซีเมนต์ โม่หิน ::	Acid washing area, Replacing wooden floor at the surrounding of machines, Walkway, Double flooring. 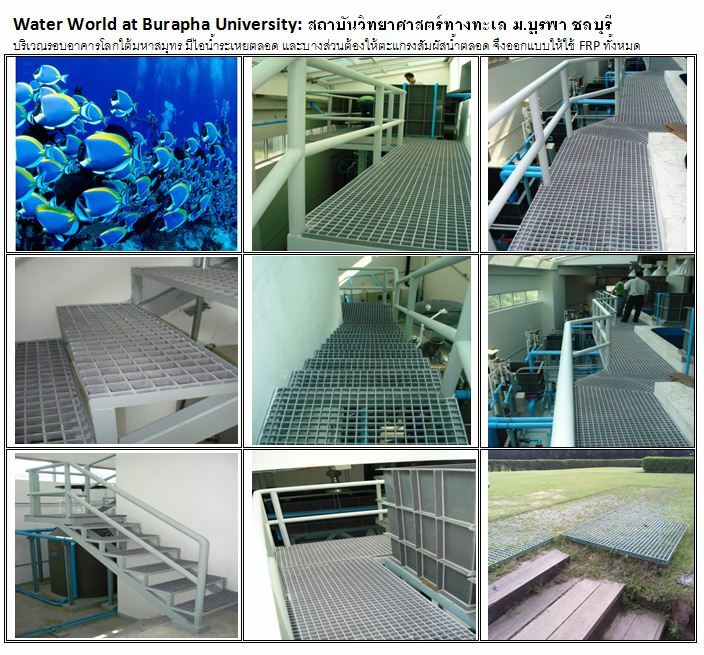 @ Seafood Processing โรงงานผลิตอาหารทะเลสำเร็นรูป::	Oily surface contaminated area, Marine. 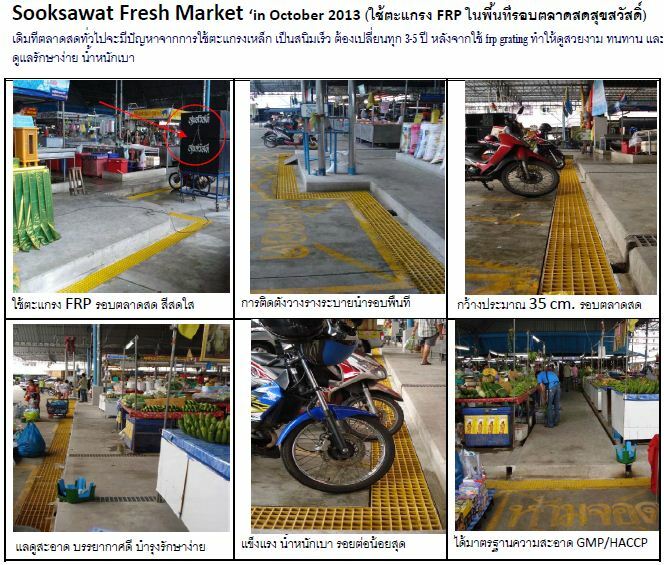 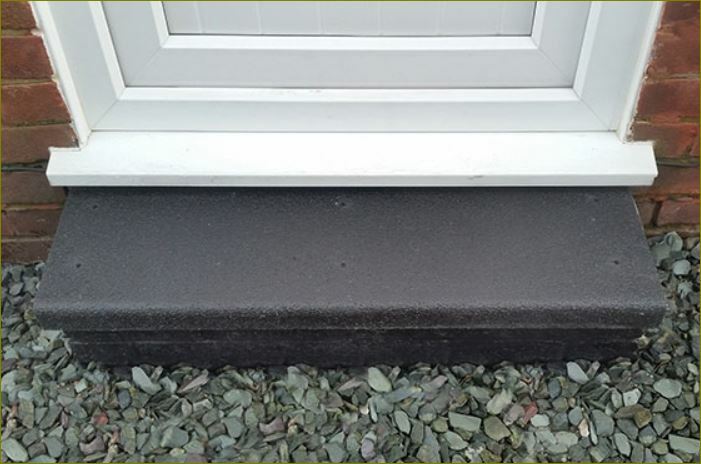 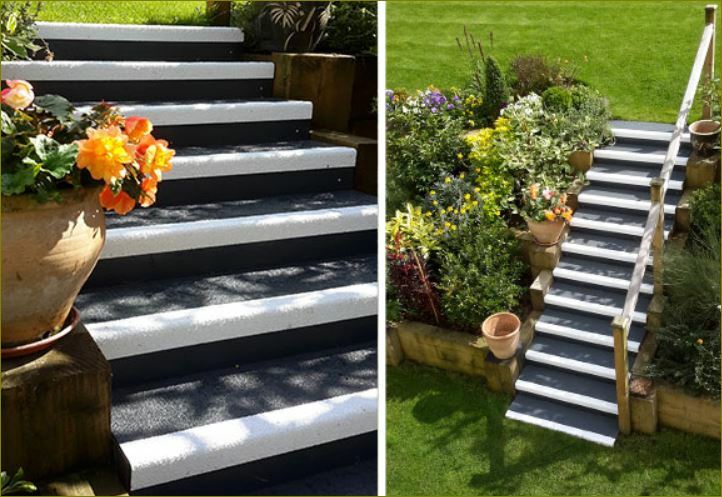 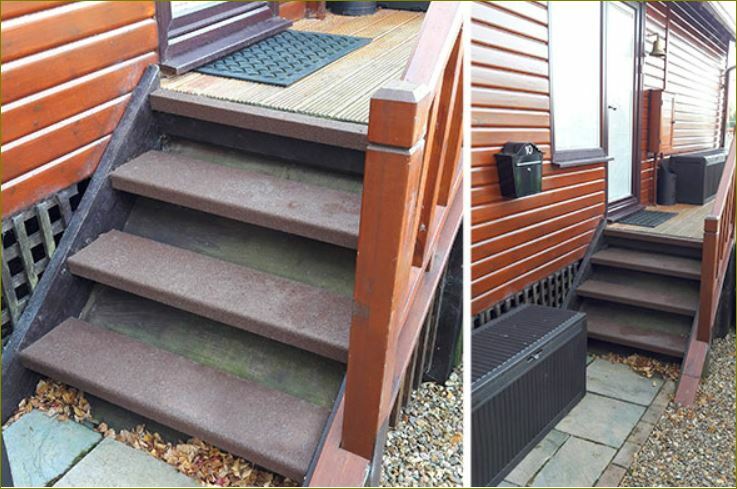 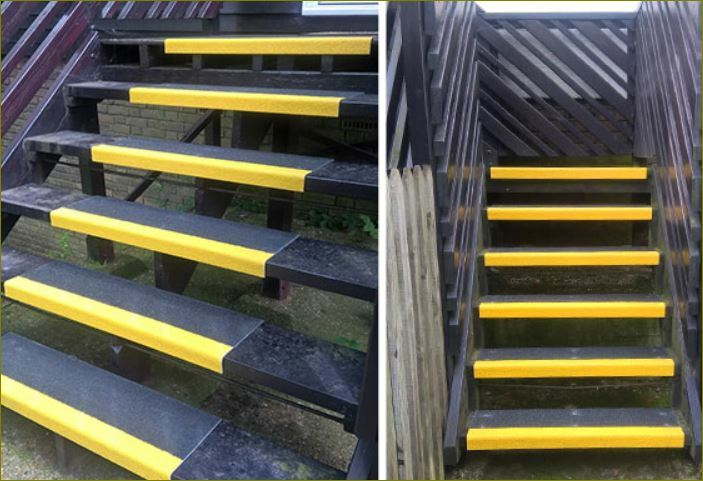 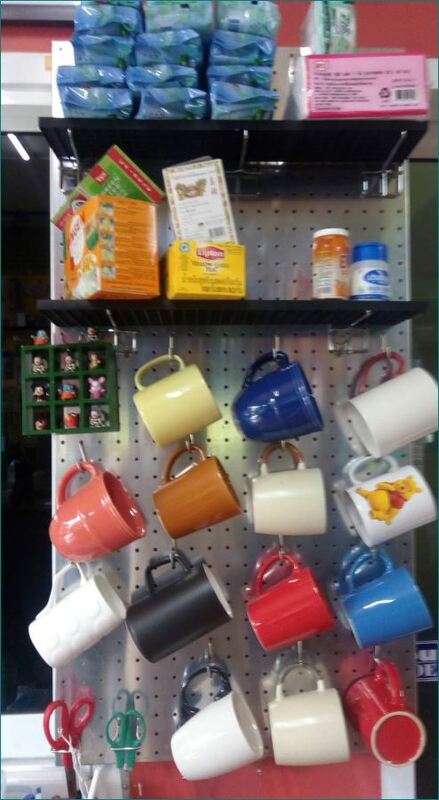 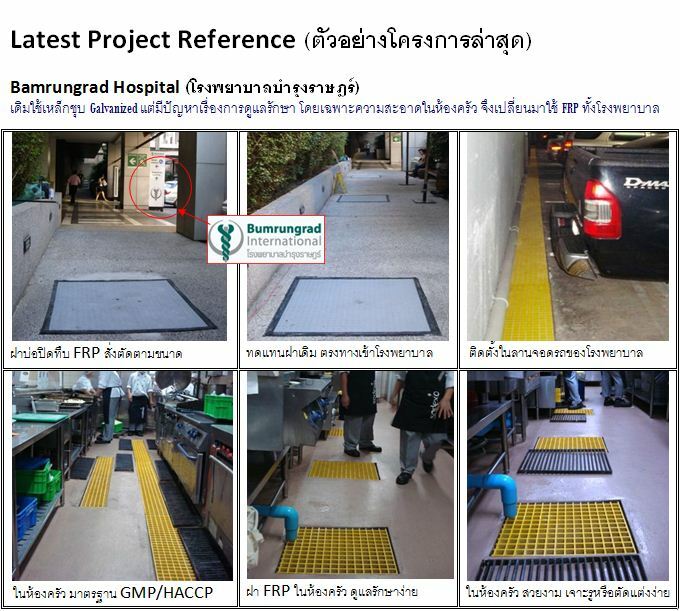 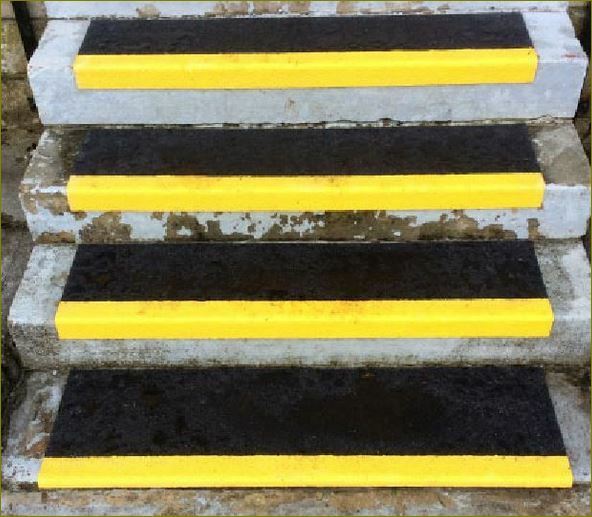 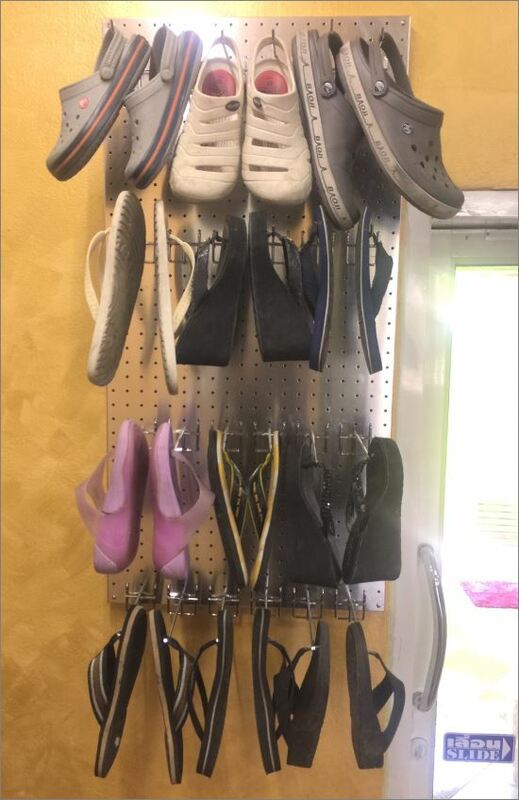 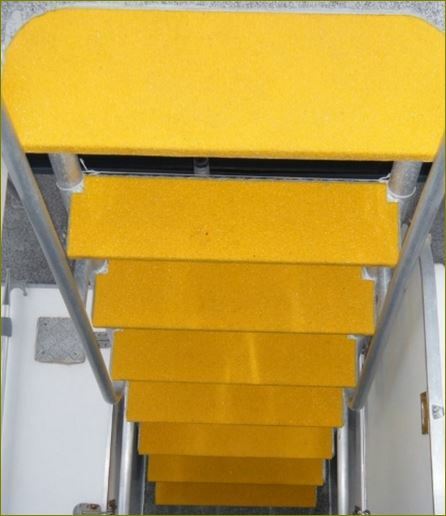 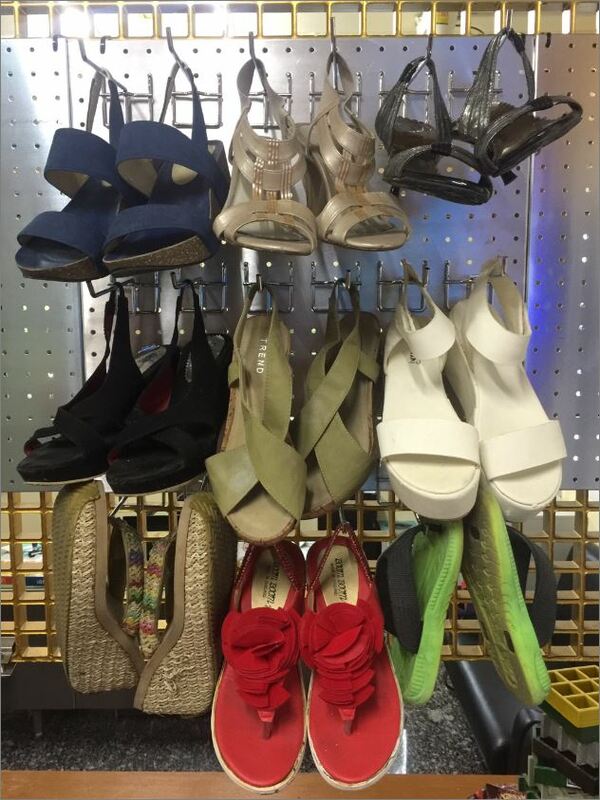 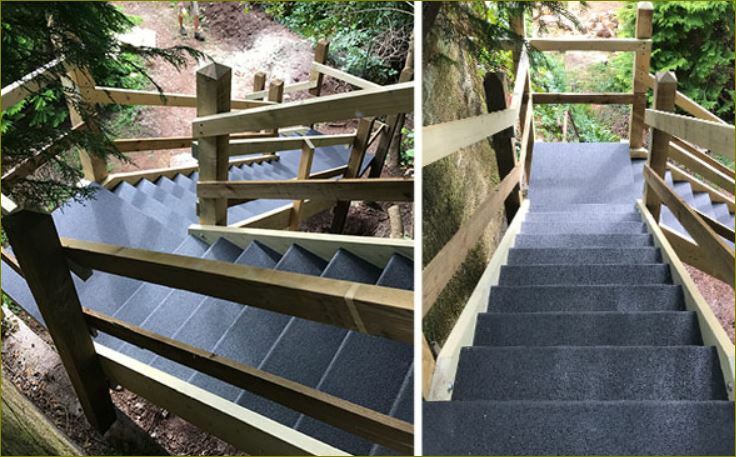 @ Transportation วงการขนส่ง ตู้คอนเทนเนอร์::	Platform, Ships, contaminated area, Minesweeper, Stair treads. 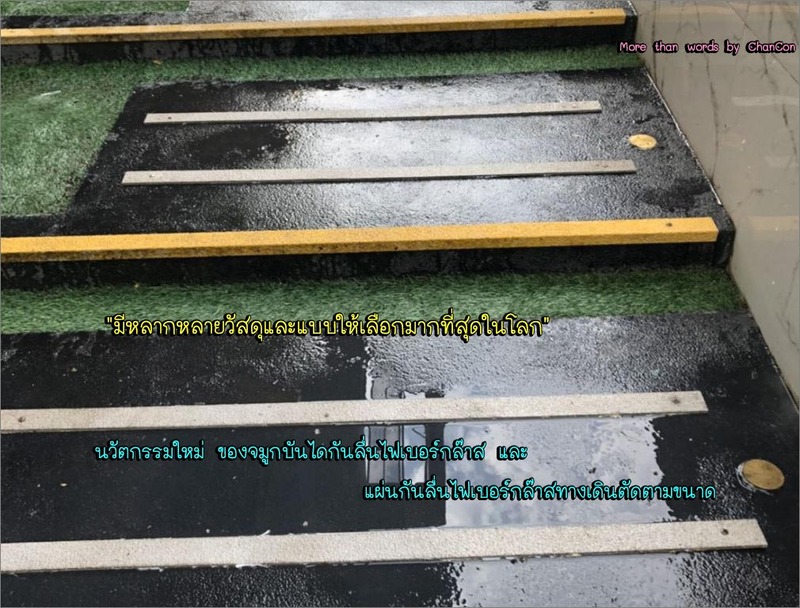 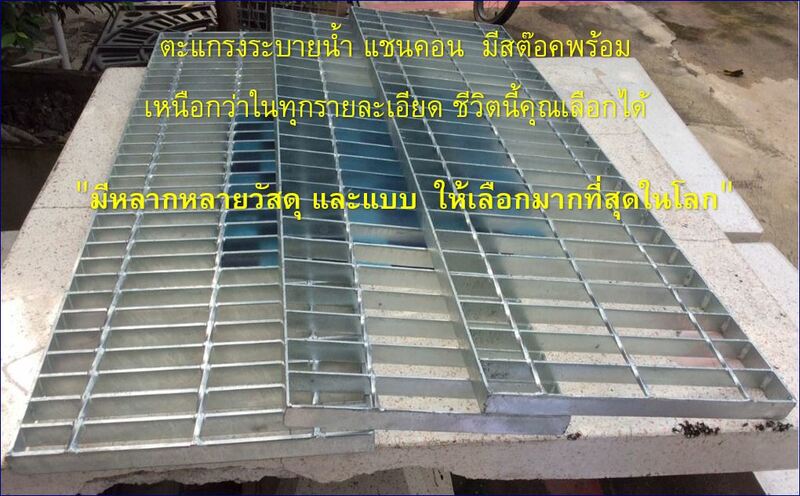 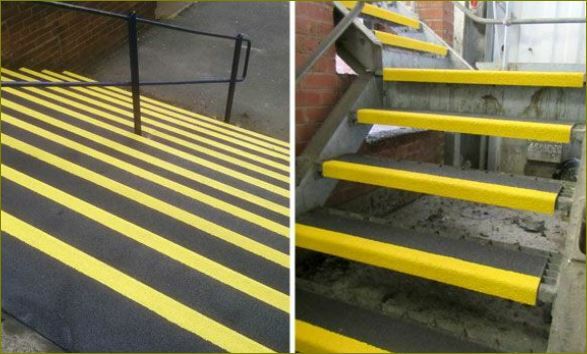 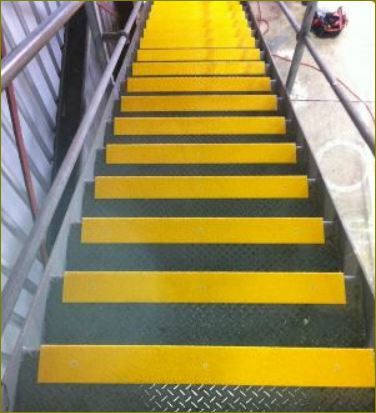 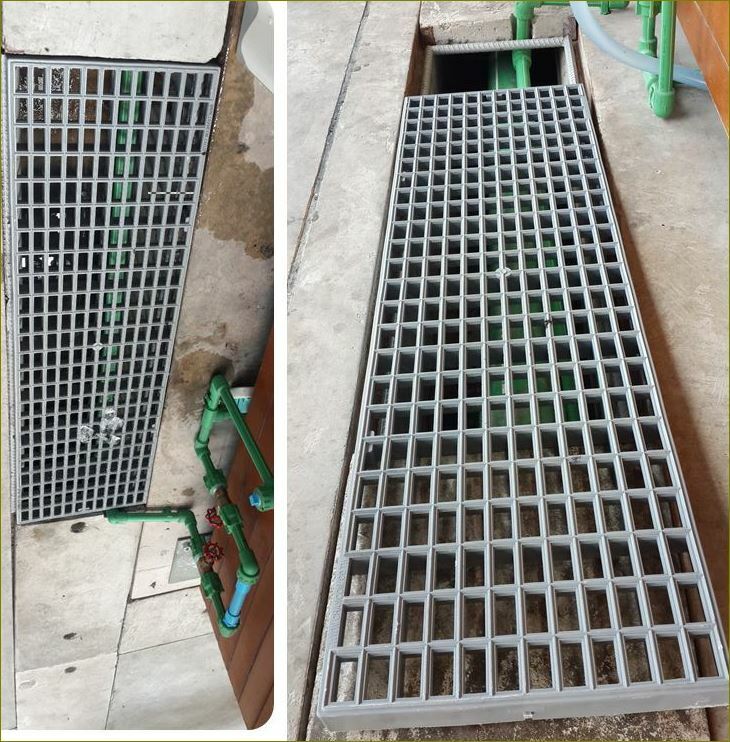 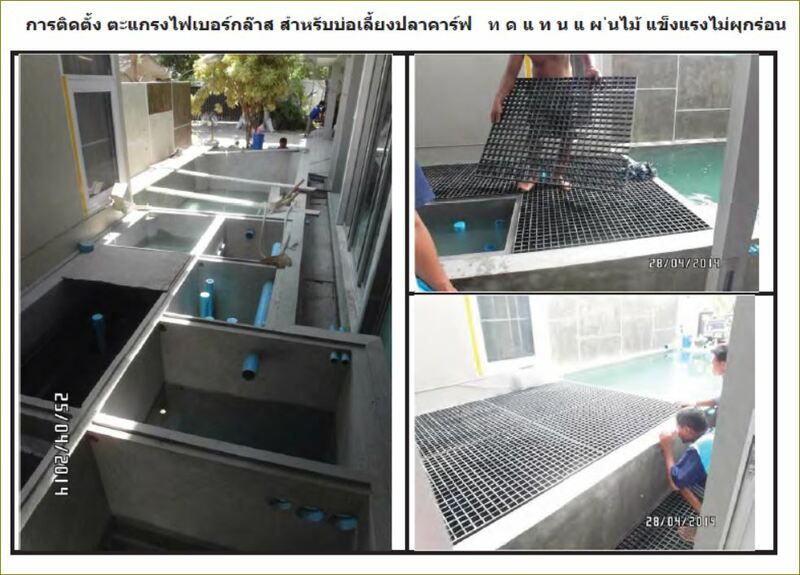 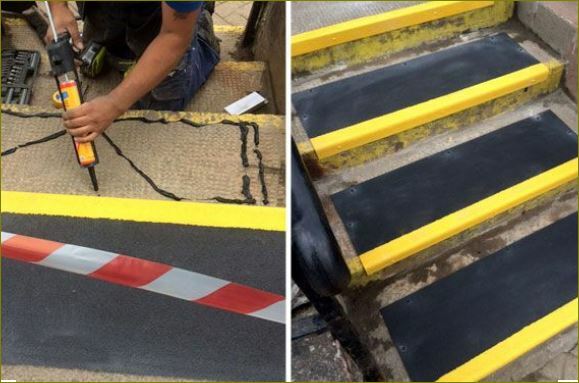 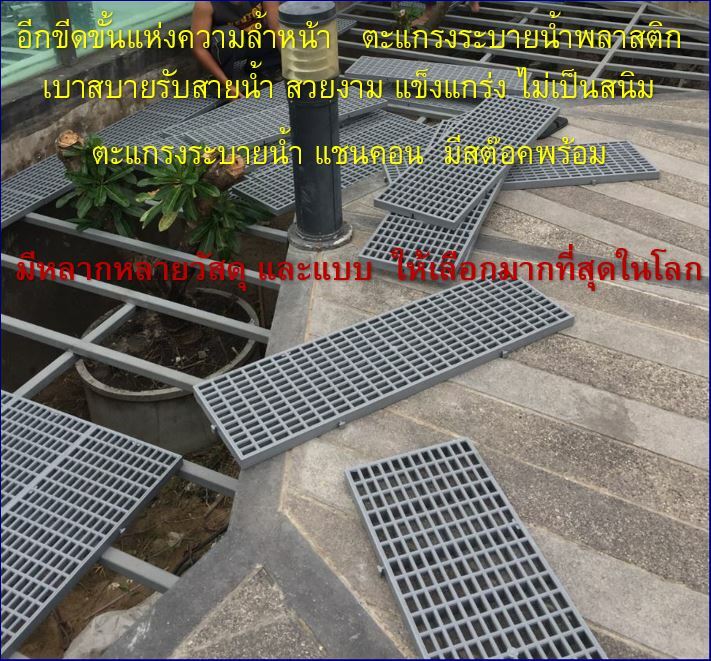 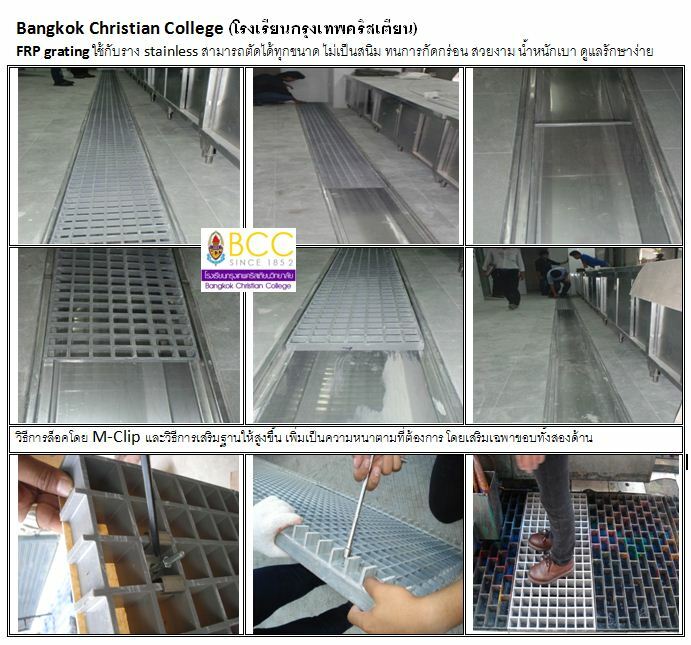 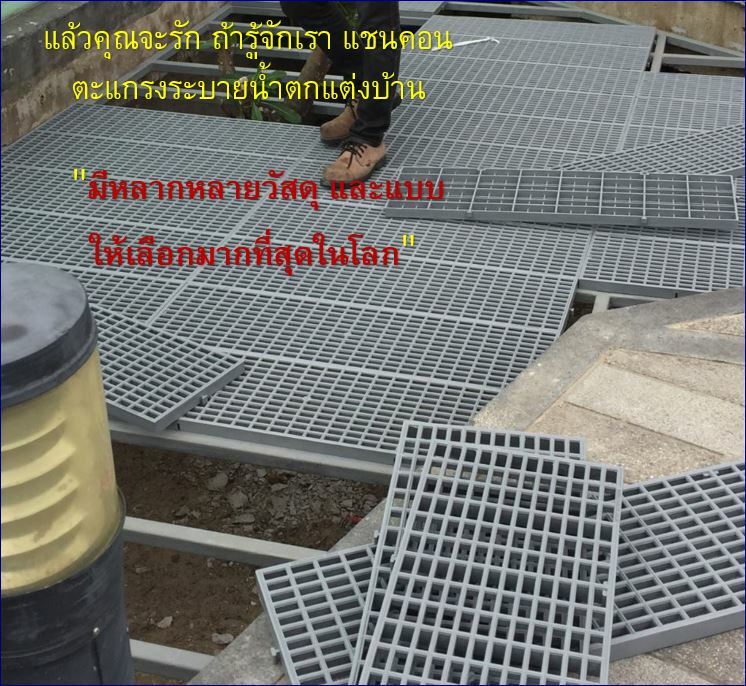 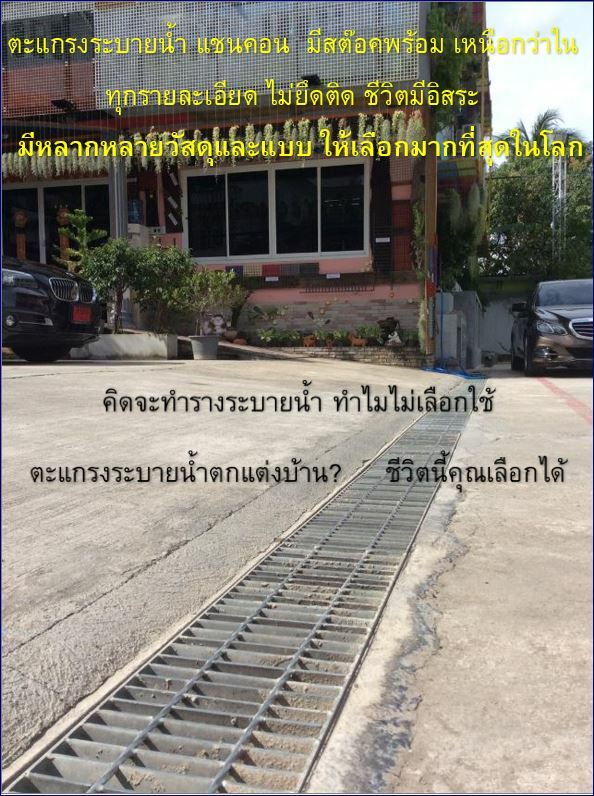 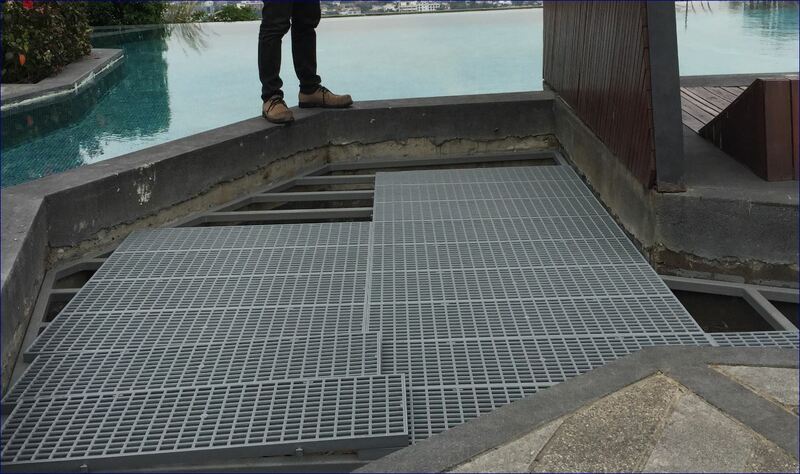 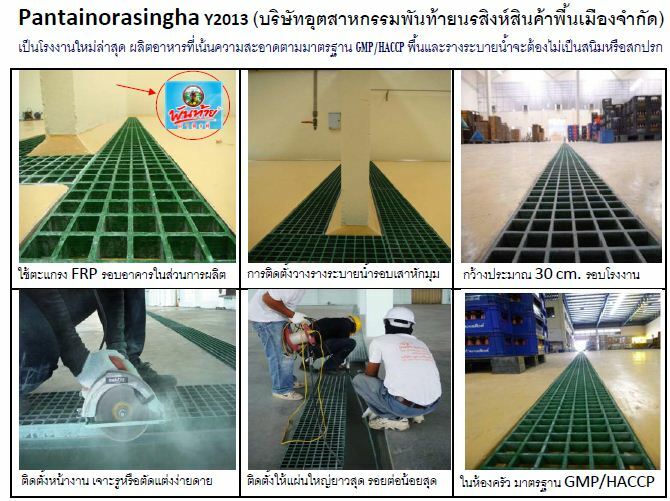 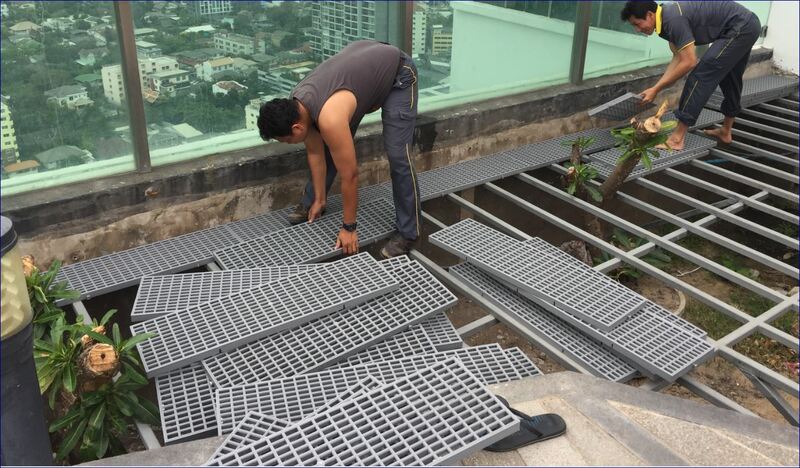 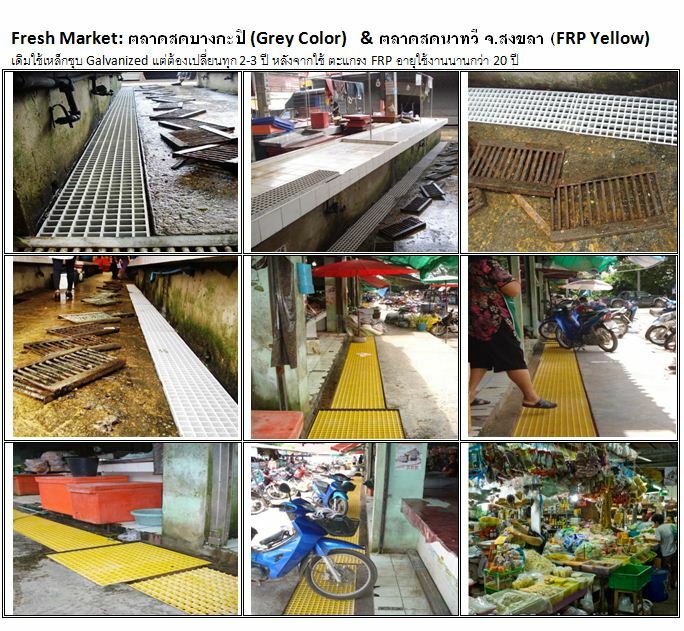 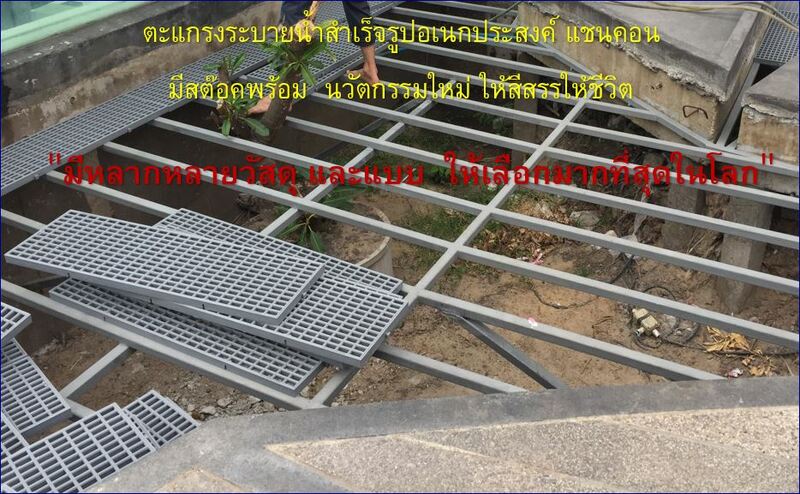 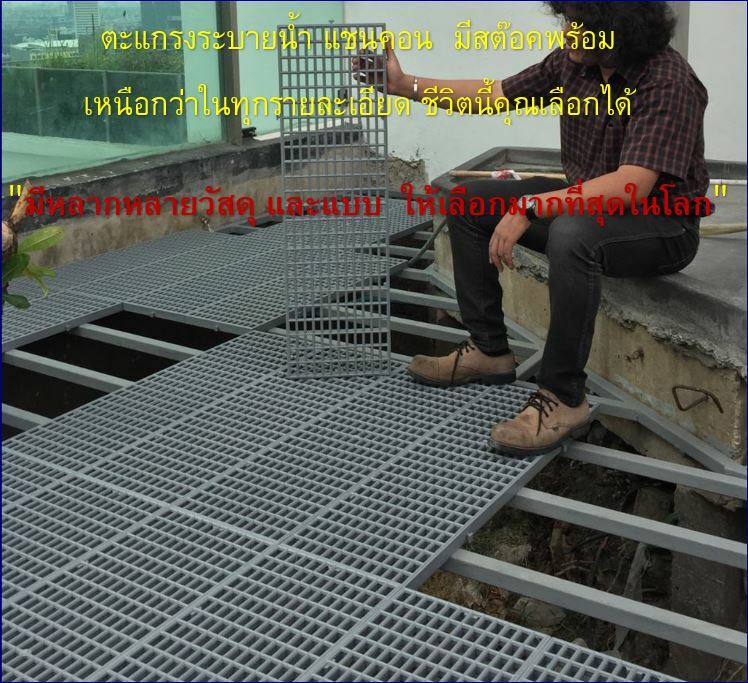 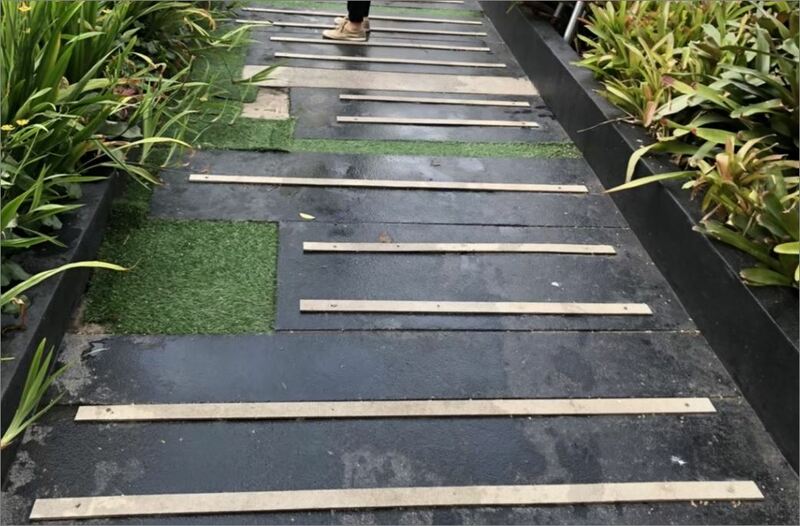 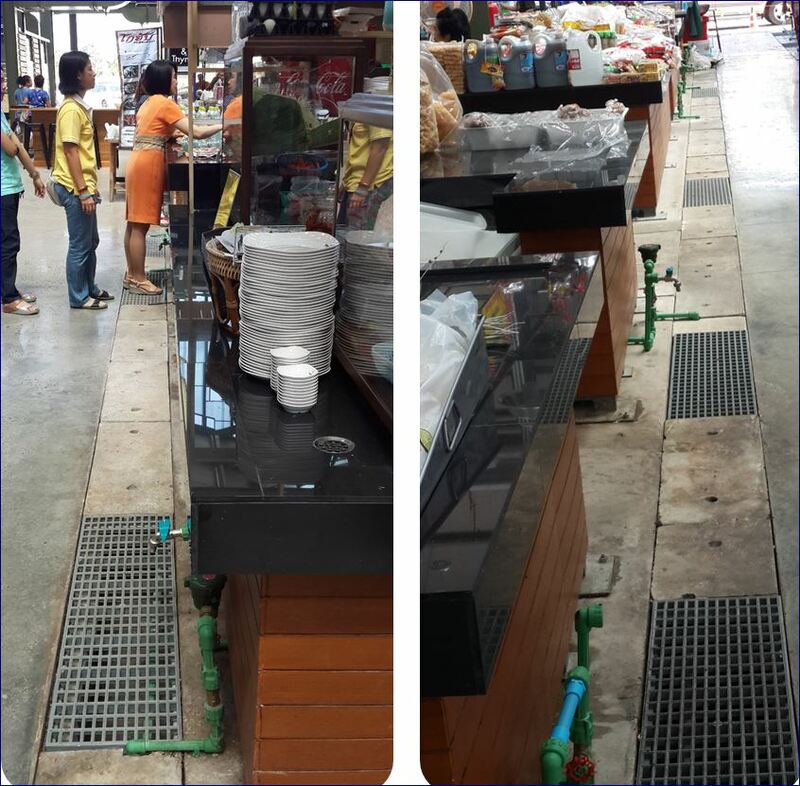 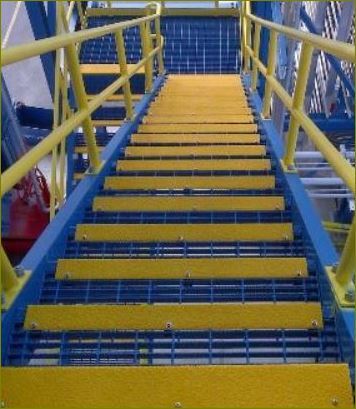 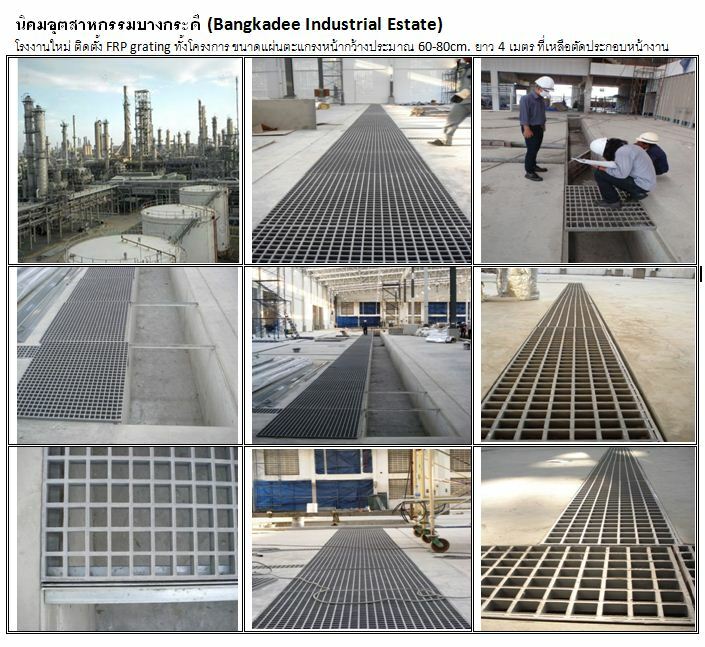 @ Beverage Plant โรงเหล้า เบียร์ เครื่องดื่ม::	Stair treads, Replacing stainless steel, Floor grating. 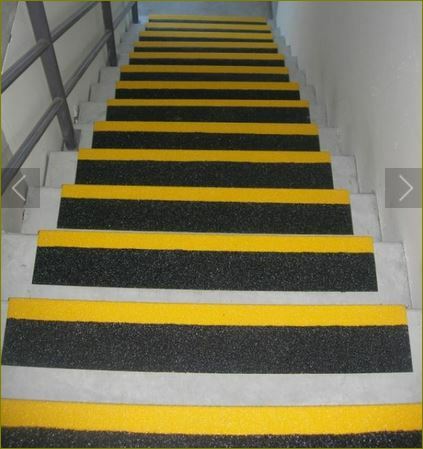 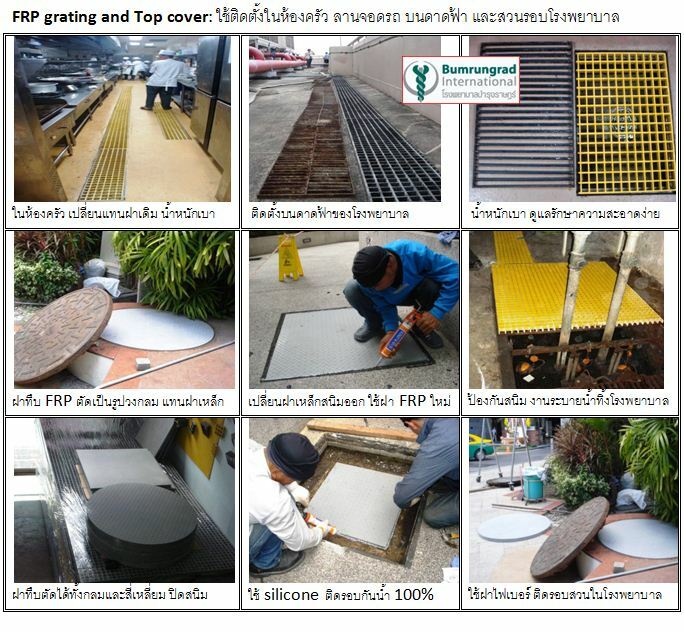 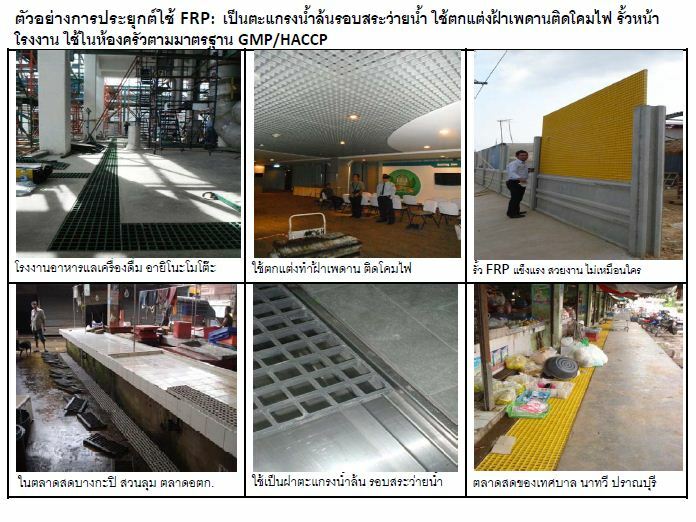 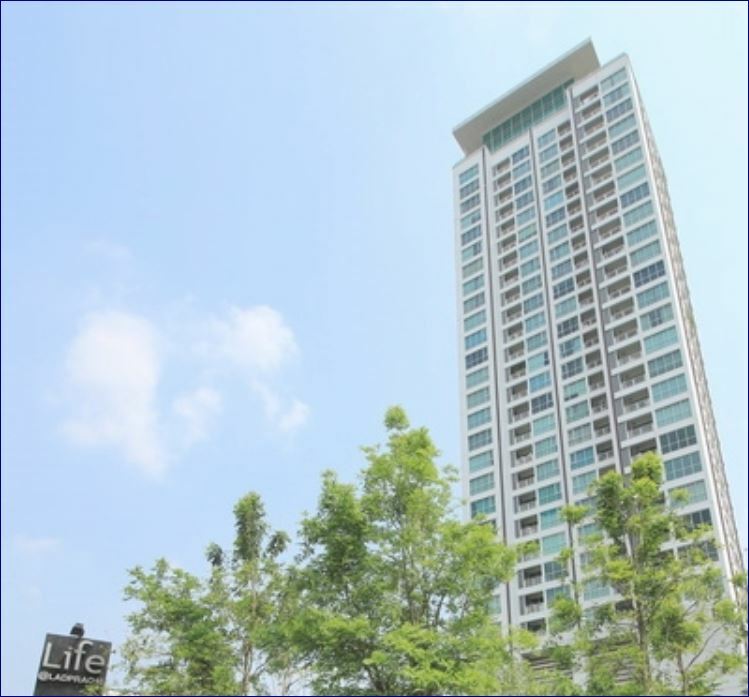 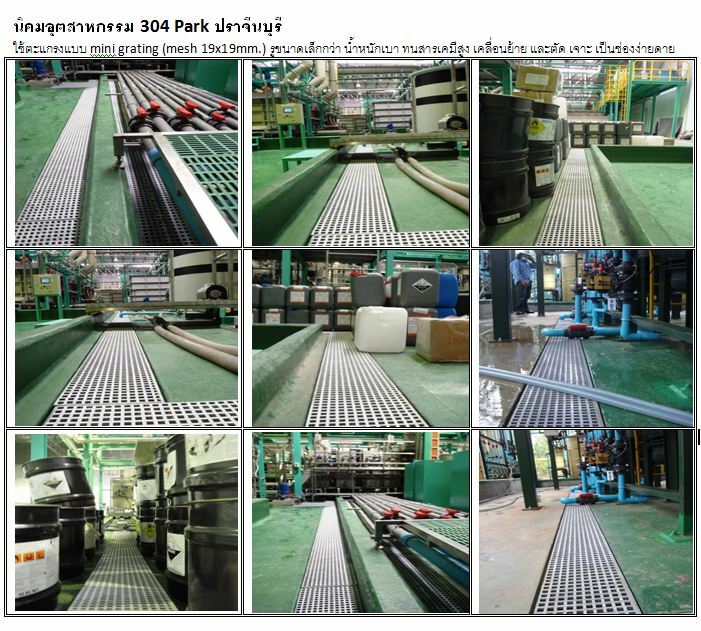 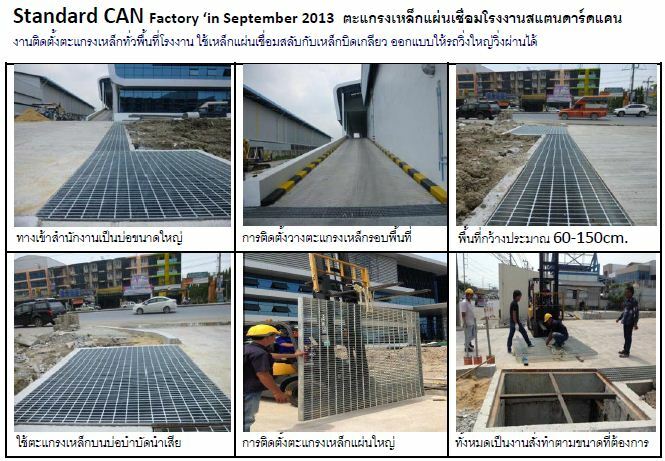 @ Pulp and Paper Factory โรงงานกระดาษ กล่อง แพคเกจจิ้ง::	Stair treads and platform, Walkways, Walkways of wet area. 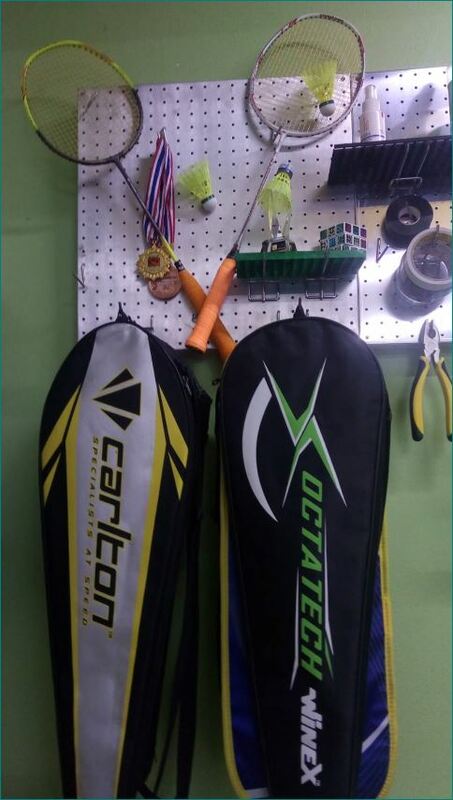 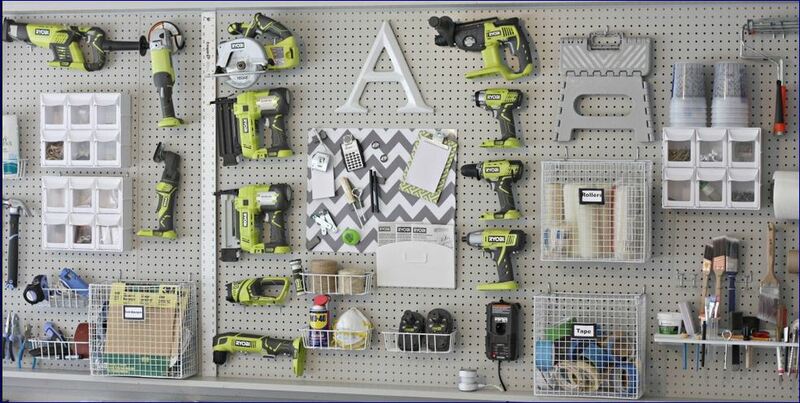 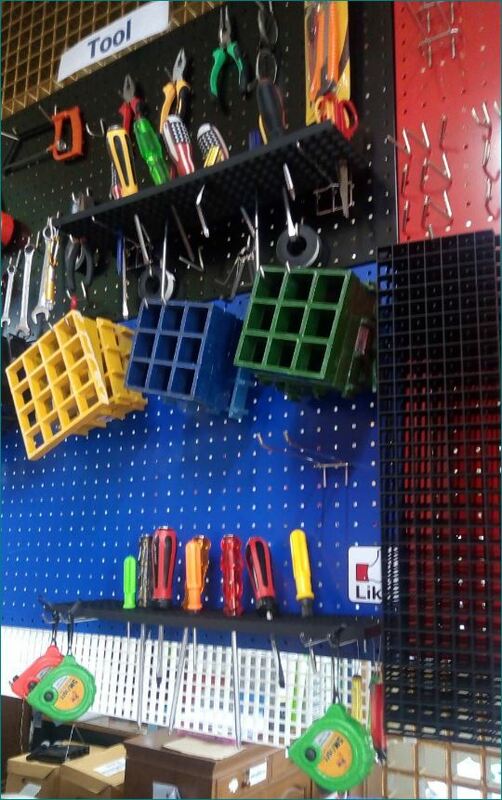 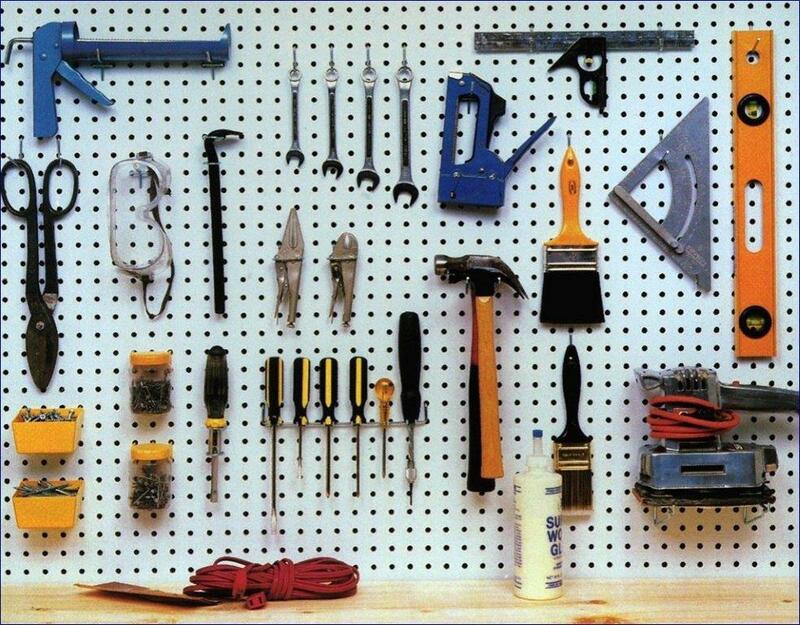 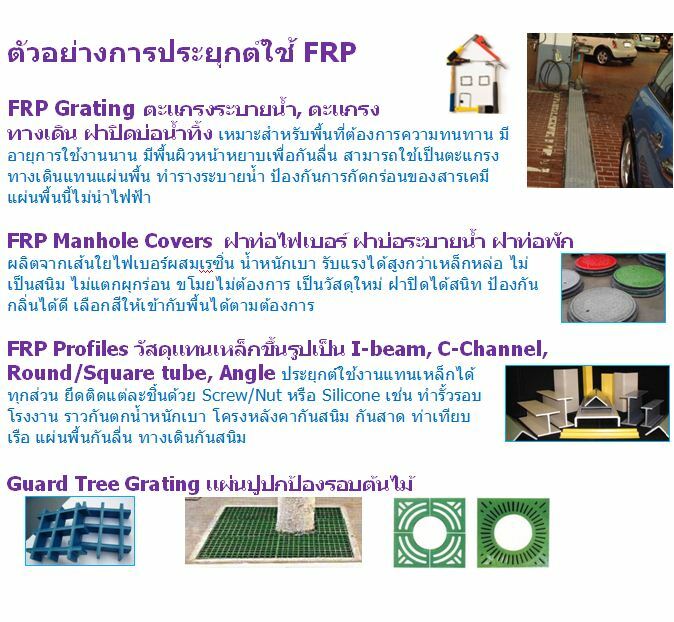 @ Electronic Industry โรงงานผลิตชิ้นส่วนคอมพิวเตอร์ มือถือ ฮาร์ดดิสก์::	Cover of concrete pool, Acid pickling, Electronic-resistance (conductive grating) and high clearance workshop. 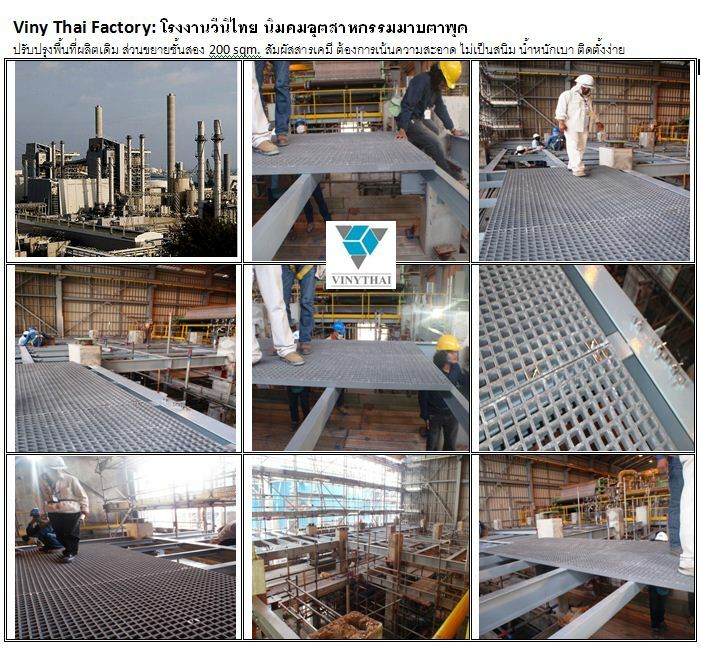 @ Meat Processing Factory โรงงานผลิตแปรรูปอาหาร เนื้อ หมู ไก่::	Floor of easily corrosion area, Ladder, Platform of oily floor and stair treads.